BC Tap Water Alliance No Longer a Signatory with CCPA Calling for Frac Regulations Under Guise of Calling for Public Inquiry of Frac’ing in BC. 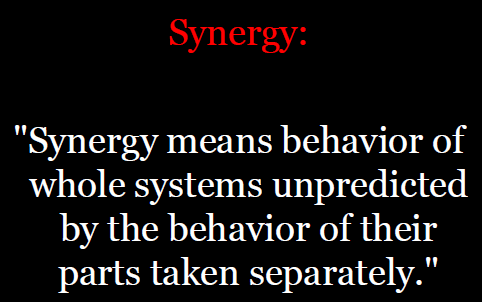 Thank you Will Koop, for withdrawing from and saying “NO!” to Synergy Alberta! When the B.C. Tap Water Alliance (BCTWA) signed on alongside others in early November 2017 for a Public Inquiry into fracking in British Columbia we were keen to be included. • The objective stated is for government to regulate the fracking industry in BC, an objective which contradicts our consistent call for a ban. (How is it even possible for a government to implement regulations when numerous federal and provincial legislations have been intentionally de-regulated to enable the many negative impacts caused by fracking?) A Public Inquiry, from the lengthy time needed from start to end, will merely allow fracking to continue unabated for years. • Since 2011, a growing and increasingly large body of scientific literature has been published that rejects the merits of fracking on numerous themes, ranging from pollution of air, soils and water harming humans, wildlife, livestock, pets and fish, to damage of geological formations, public infrastructure, well integrity, and bad economics. The professional literature speaks for itself. “We now realize that it is too late for a BC Public Inquiry. And, as many of the signatory groups are national organizations, it is more appropriate for them to call for a national investigation. Canadians have been suffering law violations and harms caused by the brute force fracking experiments for years,” notes BCTWA Coordinator Will Koop. 2017 11 22: BC’s new NDP Energy Minister Michelle Mungall lies like Alberta’s! Agrees to Review by “Industry Likes It!” Synergy Frac Panel Called for by Ben Parfitt, Council of Canadians, Caleb Behn et al, Complete with Predetermined Outcome – No Moratorium, No Matter What the Frac Panel Concludes! Canadian Centre for Policy Alternatives (CCPA) is leading this charge pushing for frac regulations under the guise of asking for public inquiry (surely the Centre knows the BC NDP-Green Govt & oil and gas industry will never allow a public inquiry or real review?). The CCPA Members’ Council is made up of representatives of trade unions, social justice and other allied organizations, individuals elected by our supporters at large, plus researchers and academics appointed because of their specialized skills and knowledge. The Council’s role is to set broad strategic objectives and organizational direction. The implementation of those objectives, and the production of reports and publications, is the role of staff under the direction of the National and Provincial Office Directors. The Centre prides itself on the high quality of its research, and the ongoing integrity of this work is ensured by peer review overseen by the National and Provincial Office Directors. The Members’ Council is ultimately responsible for ensuring that the National Executive Director maintains the required standards of quality in all publications of the Centre, directly with respect to national publications and through the Provincial Directors for provincial office publications. The Members’ Council has a dual role–to ensure that the overall entity called the CCPA operates within the mandate, statement of purpose, principles and general level of organizational integrity established by the Centre, and then also to set policies and priorities for the National Office. Provincial offices have governing bodies responsible for the strategic objectives and organizational direction of the Provincial offices. All the Centre’s governing bodies have a responsibility to ensure that the research integrity and social justice mission of the CCPA that gives it such strength and legitimacy is protected, while growing the Centre’s ability to influence the policy debate in Canada. The President and Vice-President/Treasurer are officers of the National Board. They and the National Board of Directors are elected by the Members’ Council. The National Board of Directors gives direction to and oversees the National Office, through the National Executive Director, based on the mandate and strategic direction established by the Members’ Council. The Board of Directors also has general responsibility for carrying out the decisions of the Council with respect to mandate, and strategic direction throughout CCPA. The CCPA’s National Office works with a team of research associates who have expertise in a range of public policy areas. Our research associates make regular contributions to the Centre’s work and/or in developing our research agenda. The CCPA-BC works with a network of academic, community-based and freelance researchers. Many are available to give talks or provide media commentary. For more information, or to arrange media interviews or speaking engagements, contact Jean Kavanagh, 604-801-5121 x250 or jean[at]policyalternatives[dot]ca. Shane Gunster, Associate Professor, School of Communication, SFU, Environmental communication, with a particular focus upon news coverage and advocacy communication about the politics of climate change and energy. Mary Chalmers is our Manitoba Teachers Society represenative on the board. Julie Guard is the Coordinator of the Labour Studies Program at the University of Manitoba. Wendy Land is a retired teacher and a former Executive Member of the boards of the Retired Teachers’ Association of Manitoba, the Manitoba Teachers’ Society and the Winnipeg Teachers’ Association. She remains active in the community and on community boards. Andy Regier is a Research Officer with Manitoba Government Employees’ Union. Laura Rempel is a masters student in City Planning. The Manitoba Office works with a team of research associates, listed below. To request media interviews or find out about public speakers, please contact Karen Schlichting at the CCPA-Manitoba office: 204-927-3200 or ccpamb[at]policyalternatives.ca. Brian Banks Retired Educator, Former CCPA Saskatchewan Director, Research Interests: Income inequality, Poverty, Environmental sustainability. David Campanella Research Analyst, University of Toronto Faculty Association, Research Interests: Political Economy, Privatization. Jason Demers, PhD (University of Toronto) Researcher, Research Interests: Prison policy; Race and incarceration; Incarceration and human rights; Prison privatization; Prison writing; Cultural representations of incarceration; Literature and social justice. Cathy Holtslander,Director of Research and Policy, National Farmers Union, Research Interests: Agricultural policy, with expertise in seed issues, Trade agreements, GMOs, Organic agriculture, Supply management, Climate change, Biodiversity, Agroecology. Clare Polster, PhD (York University) Associate Professor, Sociology and Social StudiesUniversity of Regina. Research Interests: Higher education policy, University corporatization, The privatization of public knowledge; Strategies to revitalize public serving universities. Retired Educator, Research Interests: Education, Trade, Water. Marc Spooner, PhD (University of Ottawa), Associate Professor, Faculty of Education, University of Regina, Research Interests: Standardized testing and assessment, Post-secondary education and audit culture, Poverty and homelessness. Cheryl Stadnichuk, Research Officer, CUPE Saskatchewan, Research Interests: Public health, Privatization, Public-Private Partnerships (P3). Michelle Stewart, PhD (University of California, Davis), Associate Professor, Justice Studies, University of Regina, Research Interests: Political and legal anthropology, Contemporary policing practices, Medical anthropology, Fetal Alcohol Spectrum Disorder (FASD). 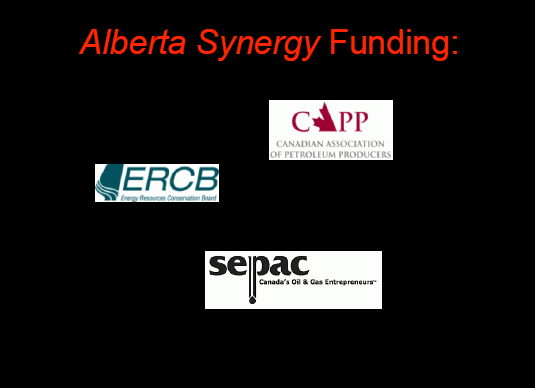 Is the CCPA’s fracking synergy push because of its union (jobs) influence? Drive for donations? Oil patch funded and controlled academia? To quash the voices of non First Nations harmed by frac’ing in Canada?